In the year 2019, a successful experiment manages to bring the human mind to a new dimensional plane, partially unknown. In this dimensional plane, you are a cardboard box filled with abilities, powers and a lack of common sense. Now, you will need to find your way out of this dimension while you discover the secrets of your own brain. Hickory is a 2D video game focused on a Drama story, full of RPG and Sandbox elements. You also have the option to put aside the story while exploring the map and increasing your level and items' inventory. 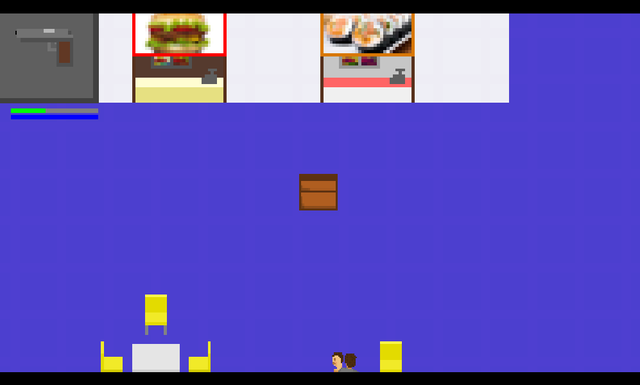 Hickory is a video game which might seem confusing at first, but the plot will eventually make sense as it progresses. A big map to explore. 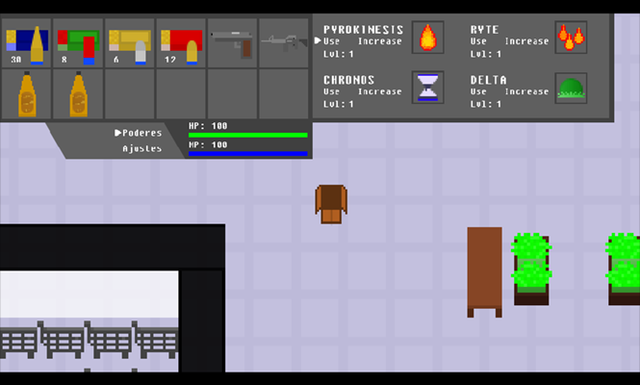 Lots of items and weapons to mix together and use them against the enemies. An exciting story with decisions to make. 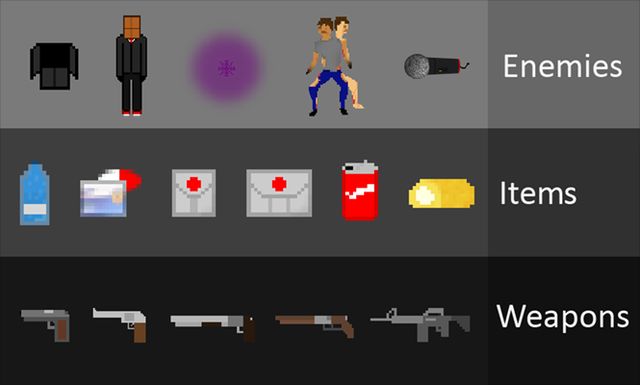 Different powers which can be used, changed and improved. A 4th wall that almost doesn't exist due to all the times that it has been broken. A shop with the most charismatic seller in town. 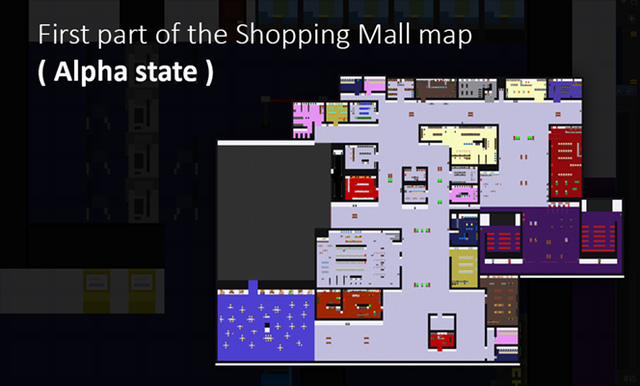 The map is a big shopping mall including a lot of zones outside of it, the player will discover this zones as the story goes on. 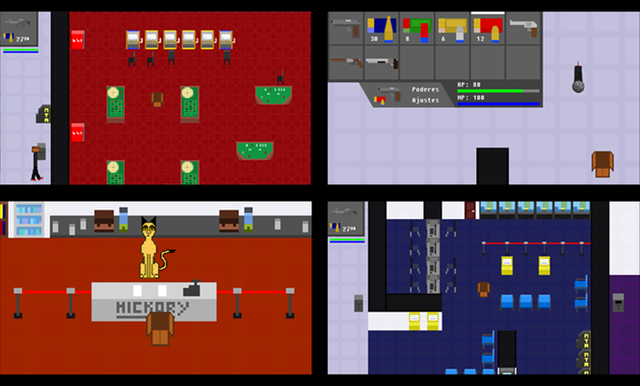 The enemies are varied and have different abilities. In addition, there are a lot of items that can be purchased or found and which can be used for your own benefit or against the one who is attacking you. The main character... well, is the most charismatic cardboard box you will ever see. 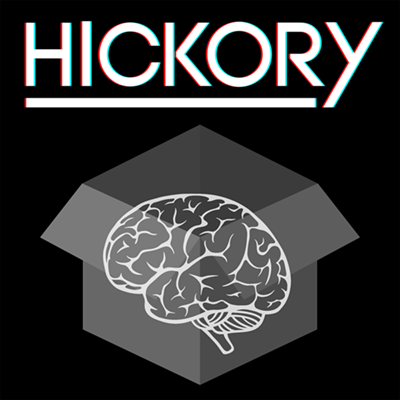 The Hickory's story is currently under development and it will have a length of about 4 hours of game-play divided in 5 chapters. So, where will the money go and why the financiation? 650$ (54%) for the time and effort spent purely on the game. 300$ (25%) necessary for most of the resources and licenses. 150$ (12.5%) to send the game to the Steam Direct system for its future publication on Steam and/or others platforms. 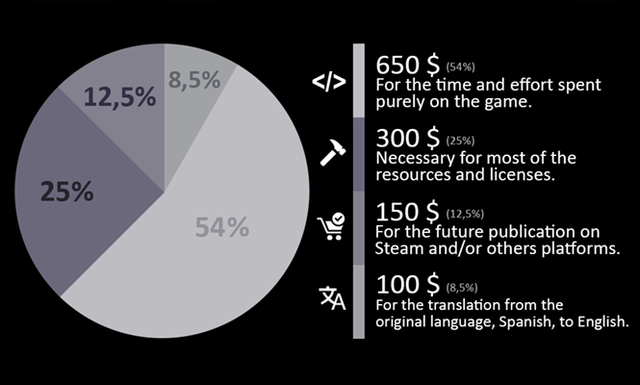 100$ (8.5%) for the complete translation from the original language, Spanish, to English. Estimated release date: November 2018. Platforms: Microsoft Windows, Mac OS and Linux. 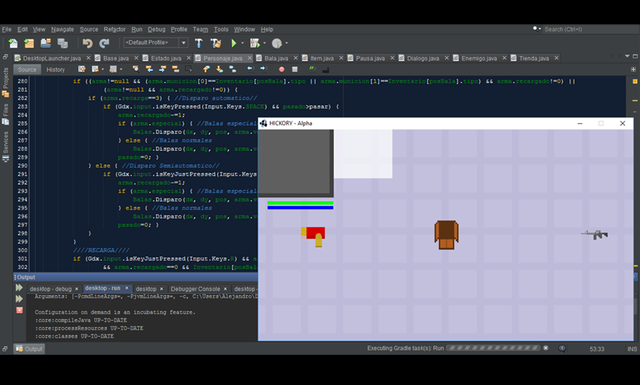 Engine: The LIBGDX framework (based on Java). Software currently being in use: Netbeans and IntelliJ idea (IDE), Photoshop CC (Image editing), Tiled (Maps), FL Studio (Sound effects and Music), Premiere Pro (Video editing). 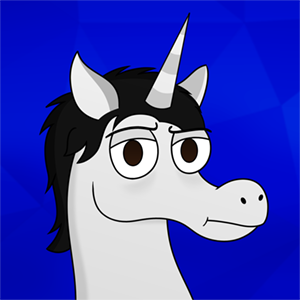 I'm Alejandro Castillo, a 19 years old boy currently studying software engineering. I also have some experience in graphic art and illustration. Addicted to Java, black humor and Twinkies (I guess these things shouldn't be related to each other). I'm a big fan of videogames in general and I've been working in the develop of small games, comics and mini documentals. But for me, this is my first big proyect in mind, and actually I have been working on it for almost 5 months now. All my inspirations come from the Playstation 1 games era, and the indie/folk music. Your name will appear on the credits. The digital Concept art book of Hickory. 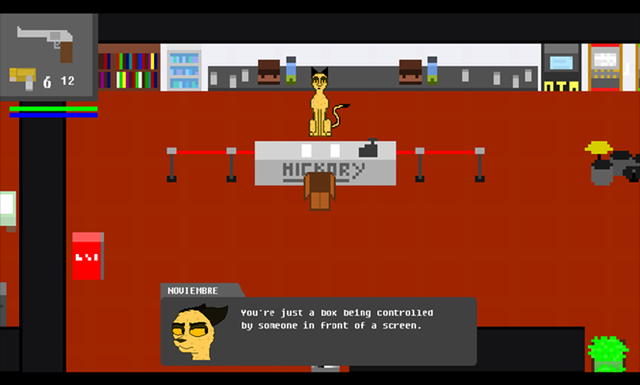 A cameo inside the game showing one character made by you.